What’s better than eating and drinking some of New York City’s most mouthwatering food and beverages? Doing it for a good cause. 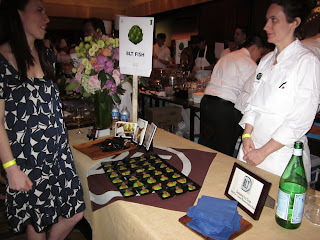 On May 17, hundreds of supporters gathered at the Grand Hyatt hotel in midtown for Share Our Strength’s 22nd annual Taste of the Nation, the country's premier culinary benefit dedicated to raising critical funds needed to end childhood hunger in America. Every spring and summer, Share Our Strength brings the nation's top chefs and mixologists together at nearly 40 events across the United States and Canada. Share Our Strength is a national organization devoted to raising funds and awareness to make sure no child grows up hungry, raising more than $245 million so far, and counting, for antihunger organizations nationwide. 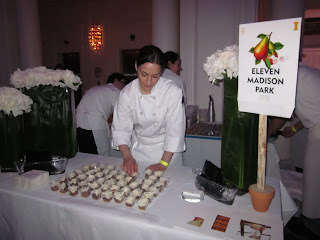 This year, more than 50 New York City chefs and mixologists donated their time, talents, and passion, serving small dishes and specialty cocktails to attendees whose contributions will support programs including City Harvest, Food Bank for New York City, and New York Coalition Against Hunger. 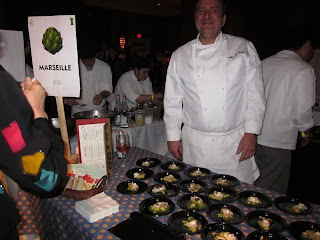 Local and national sponsors included the Food Network, the New York Post, Food & Wine magazine, Union Square Hospitality Group, and L’Ecole, the restaurant of The French Culinary Institute. 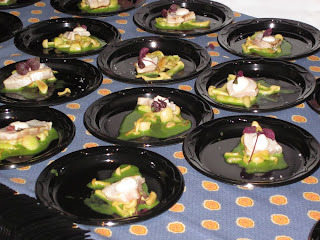 As volunteers worked to keep the event running smoothly, attendees enjoyed a ballroom full of tasting plates, both sweet and savory, generously provided by some of the city’s most renowned restaurants. 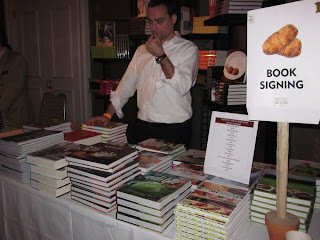 Aquavit, Gramercy Tavern, Eleven Madison Park, Le Cirque, L’Ecole, Tribeca Grill, and Union Square Cafe were among the participants. Beverage pairings included cocktails from PDT, Death & Co., and B.R. Guest restaurant group (Blue Water Grill, Dos Caminos), and wine and spirits from Chambord, Finlandia, and Stella Artois. 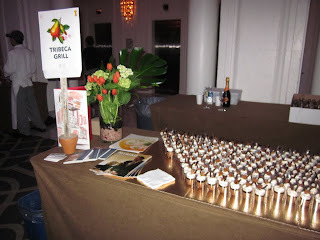 Guests were also treated to coffee and espresso drinks from Stumptown Coffee and Illy Issimo on their way out. 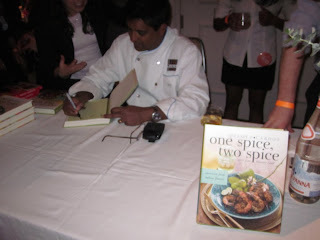 Along with such exquisite dining and imbibing, guests were invited to bid on lifestyle, epicurean, and travel packages in the silent auction and purchase cookbooks signed on the spot by top chefs and food writers. 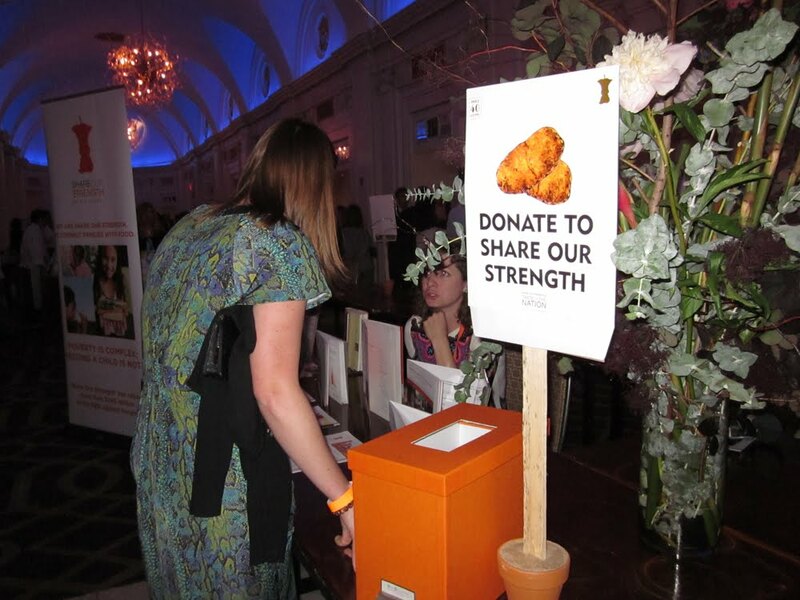 Perhaps the most decadent and delicious fund-raiser of the year, Share Our Strength’s Taste of the Nation will do more for hungry children than it has for its fortunate participants, aiming to end childhood hunger in America by 2015 through its No Kid Hungry initiative. For more information or to get involved, visit the website. A member of its online team, Amy Hrnciar handles web and email marketing projects at The FCI. After hours, she can be found sipping and snacking around the East Village, rollerblading crosstown, or lounging on her purple couch. Her favorite food and drinks include stir-fried kimchi bibimpop, habanero-infused dirty martinis, and a Brazilian dessert of guava paste, sweet ricotta, and dulce de leche.